Rogosa explains how the various kinds of wheat that once flourished across Europe were gradually homogenized. While wheat continues to serve as an important part of the Western diet, today’s wheat itself is radically different from that eaten in earlier centuries. 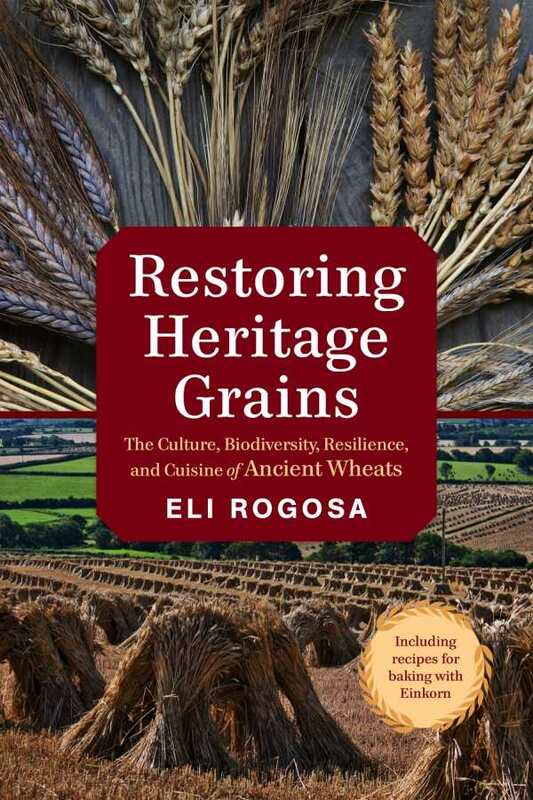 It is that contradiction that Eli Rogosa explores in Restoring Heritage Grains, an interesting and informative volume about how humans have altered the world’s wheat supply. Rogosa explains how the various kinds of wheat that once flourished across Europe were gradually homogenized, from the Romans planting easy-to-maintain wheats that could quickly reinforce their supply lines, to the Soviet Union instituting a common agricultural approach throughout Eastern Europe. She also highlights the way that agribusiness has changed the wheat crop in the United States, replacing diverse “landrace” seeds with genetically modified crops designed to be resistant to weeds, but which likely play a role in the rapid growth of gluten allergies. Beyond diagnosing these problems, however, Rogosa presents a thorough solution. She describes the variety of wheats available, from durum to spelt to Indian wheat, highlighting the advantages of each, and explains how best to grow these heritage grains. She covers where these crops grow most effectively, and how they can be used to restore soil that is often ruined by mandates to produce mass quantities of wheat. She also explains harvesting techniques and shares personal stories of traveling to different parts of the world to speak with farmers about how they restore and protect their native landrace seeds. The text of Restoring Heritage Grains is nicely supplemented with images that visually demonstrate the diversity of these ancient grains. The book also includes a useful resources section with information about seed banks, and—perhaps best of all—a selection of recipes that make use of heritage grains. Whether of traditional cookies, pie crust, pizza, or challah, these recipes provide opportunities to practice what Rogosa preaches, and to taste the different flavors heritage wheats offer.